GST (the Goods and Services Tax) is finally here just like winter in Game of Thrones. The much-awaited indirect-tax regime was honored with the throne on 13 July 2017, solely to stimulate the growth in Indian economy. Established on the theory of one nation, one tax regime’ the biggest tax reform eliminated the multi-layered tax system earlier existent in the country. The comparison of GST with winter is for the readers to understand the similarity between both, which for me is survival of the fittest. Escaping from the liabilities of the new tax regime is as impossible as escaping the cold breeze in Winters, which makes India as world’s 10th most complex nation for investment. GST is a multi-staged value-added tax reform on consumption of goods and services replaced with the multiple taxes imposed and collected by the Centre and the State. It aims at consolidating multiple taxes into one and intends to include many central taxes like service tax, central sales tax, excise duties and more into one-fold. However, the only charge outside the purview of GST is Union/ Custom duties which continue to be levied by the Union. India is a federal nation where both center and the state has the authority to levy and collect taxes to maintain the constitutional mandate of fiscal federalism, a dual GST will be levied. 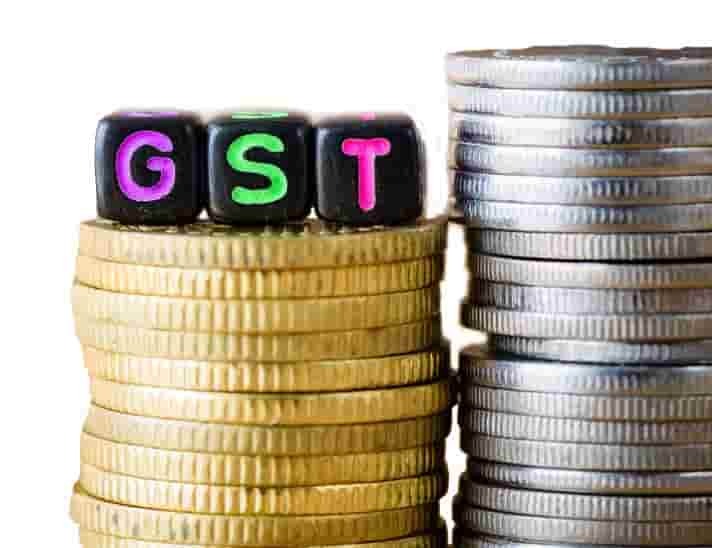 The tax levied and received by the state for supply of goods and services will be referred to State GST (the SGST) whereas, on the significant front tax levied by the center for the intra-state supply of products and services will be termed as Central GST (the CGST). Further, an integrated GST (IGST) on the the inter-state supply of goods and service will be under the direct administration Centre. Alcoholic Products: Alcoholic products are outside GST impact and will still be continued to be imposed by the previous regime. Electricity: Electricity managed to remain non-GST product and taxation on power will still be levied through state-specific provisions. Petroleum Products: Relaxation applies to a complete range of petroleum products including crude oil, natural gas, diesel, and fuel. Apart from the above products, several commodities like -vegetables, cereals, meat, live animals with exception to Horses, cotton are outside the purview of GST. Likewise, hand tools like spades and shovels, raw silk, printed books, newspapers, judicial and non-judicial stamp papers, hearing aids, wood charcoal, and every contraceptive product are not covered under the scope of GST. The era GST will bring harmony in the taxation system in the nation and will reduce the “Cascading Effects” of taxes. The GST regime is one of the most significant steps taken by the government in ‘Make in India’ Direction. The most significant reform tends to bring harmony to the taxation systems via eliminating the “cascading effects” of multiple taxes. Removal of cascading of taxes and costs aids in disclosing the hidden cost in the nation. Thus, reducing the cost of goods and services manufactured in the country, making them more competitive in the international market, and simultaneously increasing exports. Earlier, the overall tax burden on goods and services was estimated as 25-30%, whereas, under GST maximum products are under the tax slab of 18%. Let us take an example to understand the difference, a manufacturer overall in a year spends INR 100 on various raw materials, which is inclusive of tax of INR. 10. The manufacturer produced a product N and post N is manufactured there is a value addition of INR 40 thereby making the gross value of INR 140 and if the tax is 10% on product N amounting to INR 14. Now, under GST regime the manufacturers can set-off the Tax of INR 14 with the tax already paid while purchasing of raw materials worth INR 10. This means he only pays INR 4, however, under the earlier regime, there is no provision of setting off taxes, the goods are now sold to a wholesaler at INR 154. Thus the new scheme guarantees a continuous mechanism of the tax credit and a unified tax structure benefiting manufacturers, wholesalers, retailers and end consumers. Reducing Red tape: Reduction in unnecessary paperwork and accounting complexities. 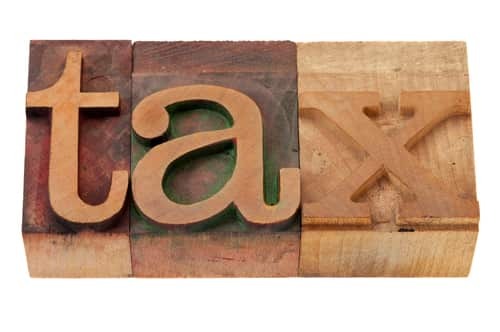 The simplified taxation regime will save the government as well as Taxpayer time and money. Simplified structure: the simpler structure can bring greater compliance thereby increasing the taxpayers and tax revenue for the government. Competitive price: GST will efficiently reduce the amount of taxes paid by the final consumer. Lower rates will boost the consumption leading to pricing benefits to the business. Export >Imports: when the cost of production is reduced in the domestic market, goods tend to be more price-competitive in international markets, which will work well for the exporters, competing with foreign manufacturers facing a lower cost structure. The GST compliant companies must understand the framework of GST and prepare themselves for the strong winds coming their way and their likely impact on their operations. Thus, developing a structured and strategic approach is though crucial but necessary. The major challenge is the identification of critical issues impacting the business during the transition into GST. Update IT and Accounting: complying with GST may trigger reconfiguration in IT systems, alterations in customer master data, tax code accounts. If the company is dealing with large numbers of invoices, the invoices will be generated in a certain format as directed by GST council. Review Contracts: Contracts will be revised for enduring GST compatibility. Further, Addition to new provisions will be required in long-term contracts. Product pricing: Revaluation may need to be done at prices of the products. In situations where the customer is unable to recover tax charged, the tax burden will be borne by the supplier. Human resources: The employee salary plane will be revised since, GST may be applied on gifts, allowance and expenses claimed. Business processing: Almost all business units require electronic invoices and new reports to facilitate the GST returns. GST compliant company’s processes should be strong enough to accommodate India’s electronic filing system. New Compliances: Under the GST there is a provision for monthly return and a separate provision for annual filing and audit, for which the companies must amend the tax standards and return filing methods. Fake invoices: where a taxable person supplies goods/services without any invoice or false invoice or the invoice so issued is in violation of provisions of GST. Tax Evasion: where the taxable person collects the taxes and does not submit it, obtain GST refund by fraud, suppresses sales tax to evade tax. Fraud: where one submits false information while registering for GST or submits fake financial records or fake returns to evade taxes. The law imposes civil as well as a criminal penalty on the wrongdoer as the offender has to pay the 100% penalty amount of tax evaded, subject to a minimum of INR 10,000. And in cases of fraud, imprisonment up to a minimum of 1 year and a maximum of 5 years and fine or both. The law has been published; however, it is imperative for the country to have a robust IT network and structure to make seamless implementation of the law, which is still under process. Another most important issue which the country is facing the loss of substantial revenue which will be incurred by states to have a full-fledged law in place. Explicitly mentioning, there are several state-specific concerns such as the state of Maharastra, earns revenue of more than INR 13,000 crore per annum from octroi, Gujarat, generates an income of INR 5,000 crore from CST. Other states like Punjab and Haryana earns almost INR 2,000 crore from purchase tax. However, the most significant fear of these states that they will end up losing income from these tax, upon the implementation of GST. Health services offered by non-governmental hospitals. India’s GST reform faced multiple challenges during its implementation. The lack of consensus among the states was one of the reasons for the delay in implementation. Despite considerable hindrances, GST managed its way in Indian taxation system. The significant step towards economy’s growth of dual GST comprising of central and state GST will be able to uphold the federalism spirit. However, there is a need for proper check and balance and a suitable constitutional amendment that will carve out a new Indian society.